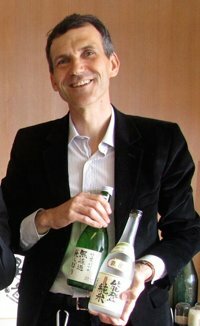 French sake expert Sebastien Lemoine and Le Cordon Bleu invite you to a mountain village in the foothills of the mountain range rising at the Western tip of Tokyo Prefecture. This refreshing escape from the city includes a rural but beautiful meal in a stunning natural environment, as well as visits to both a local sake brewer and a local shoyu (soy sauce) brewer. Prerequisites : As a part of this class alcohol will be served. Students under the age of 20 will not be permitted to taste sake at the brewery, nor consume sake with lunch. The course will be delivered in English, with Chinese translation provided.